Methodist Medical Center treats all aspects of heart disease. Our award-winning cardiology services begin with the human touch – dedicated cardiologists, nurses and technicians. They combine extensive skills with the latest technology in bypass surgery, angioplasty, stenting, emergency treatment and rehabilitation. First hospital in the area to implement a hypothermia protocol which lowers a patient’s body temperature after cardiac arrest to reduce the risk of brain damage. Da Vinci robotics system available to cardiovascular surgeons who can perform procedures such as repairing faulty heart valves laparoscopically rather than through an incision and subsequent opening of the patient’s chest. Cardiac rehab in Methodist’s 5,000 square foot facility offers an individualized plan of monitored exercise and education in a medically supervised environment. 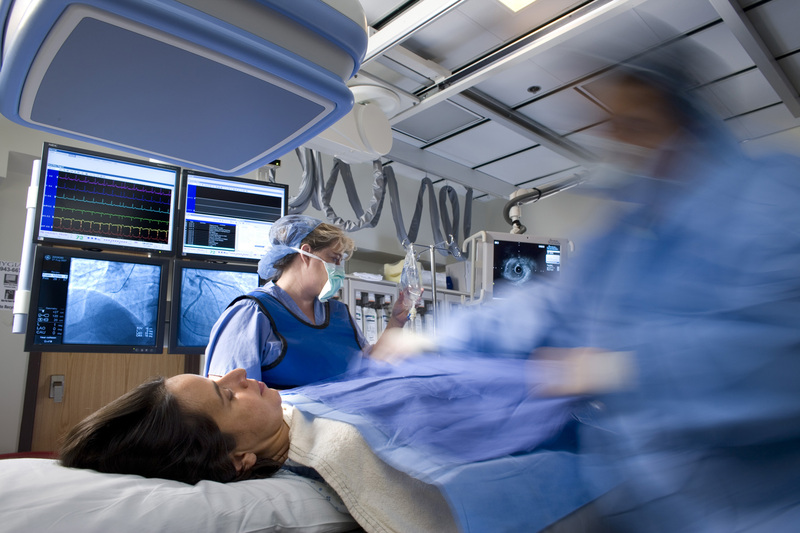 Patients with chest pains receive noninvasive cardiac monitoring and 24-hour nurse observation. They remain as long as necessary in a safe, quiet, comfortable environment. The Chest Pain Center is located in the Emergency Department. Covenant Health hospitals are leaders in the diagnosis and treatment of cardiac-related health issues. Learn more about Cardiac Care and a new procedure called Transcatheter Aortic Valve Replacement, or TAVR.